and prodded them, looking for signs of disease or debilitating handicaps. Usually immigrants were only detained 3 or 4 hours, and then free to leave. 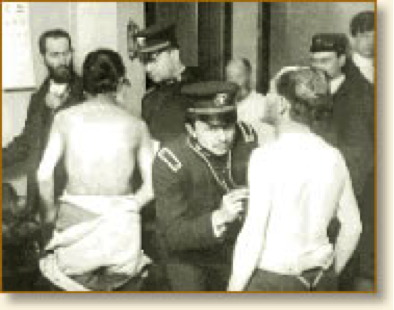 If they did not receive stamps of approval, and many did not because they were deemed criminals, strikebreakers, anarchists or carriers of disease, they were sent back to their place of origin at the expense of the shipping line.